Every year for my oldest son's birthday I made him a cake. I would always bite off more than I could chew but somehow pulled it together in the end. I've actually come to really enjoy making the cakes but can see the look of panic on my husband's face whenever I talk about the next cake I'm going to make! I usually spend hours just trying to find the right ingredients and mostly I'm successful but sometimes the image I have in my head doesn't get brought to life. 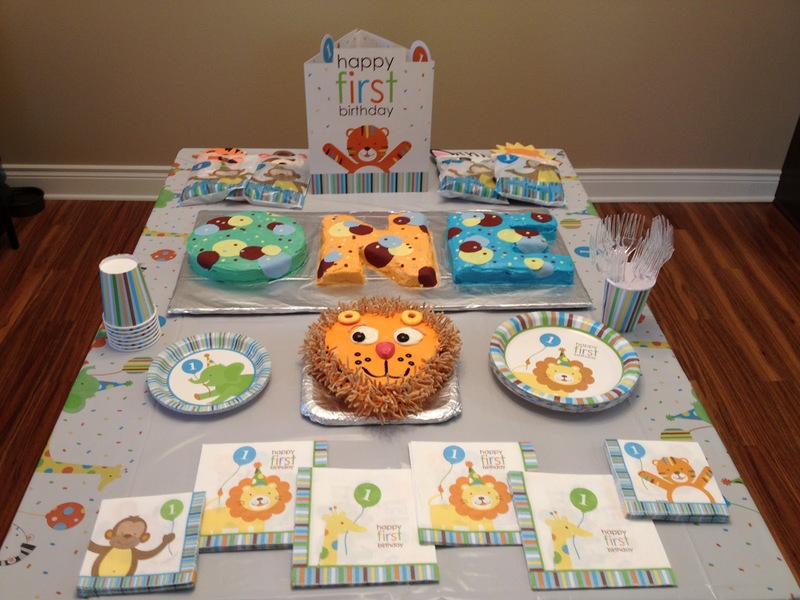 This year was no exception with Parker's first birthday! 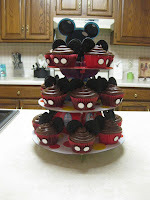 I found a couple of pictures on Pinterest that I thought were totally do-able so I made my plan of attack! 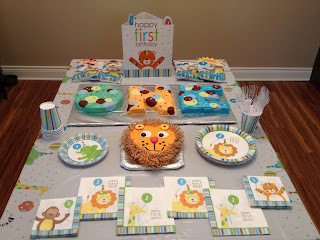 The lion cake was for Parker's smash cake and it went surprisingly very smooth! The most tedious part was putting all the chow mein noodles on for its mane, that sucked! I was quite pleased with how it turned out though. 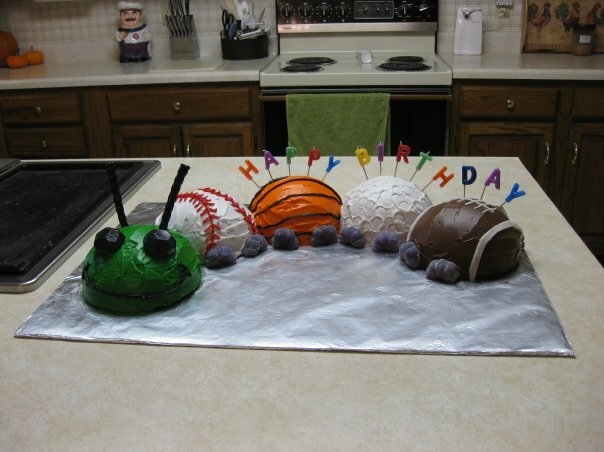 The "ONE" cake was a totally different story though. The "O" was simple enough because it was just an 8" round cake but I had to cut out the "N" and the "E". 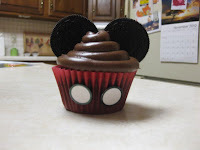 The cutting out part was easy because I had made a template for it but the dirty icing part was horrible! The cake just literally was crumbling as I was trying to dirty ice it. I had a moment of panic thinking "oh my gosh, this isn't going to work!" I took a second though to collect my thoughts, said lots of prayers and moved on. I somehow pulled it together and was incredibly pleased with how it all turned out. The best part was that the cake also tasted good! That's always a pleasant surprise! 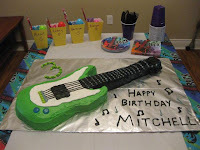 Now I have 6 months to plot my next cake for Mitchell's 4th birthday! 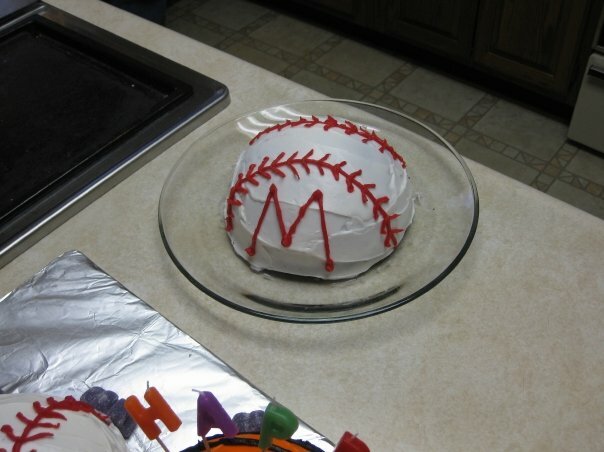 This was the cake I made for Mitchell's 1st birthday. It was a "Baby All-Star" theme. 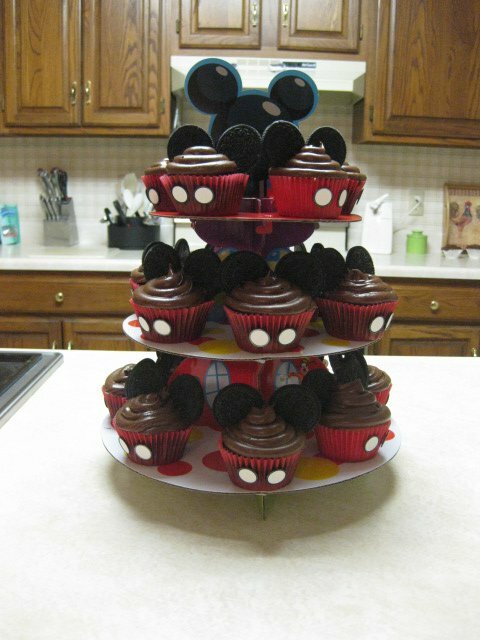 The cupcakes I made for Mitchell's 2nd birthday. Mickey Mouse Clubhouse was the theme. 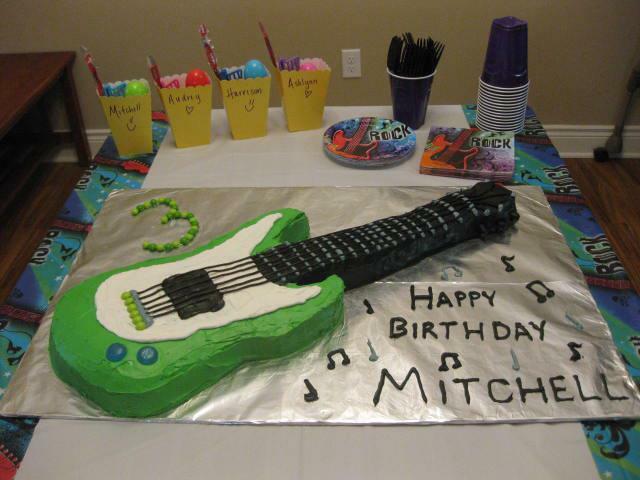 For Mitchell's 3rd birthday it was a rockstar theme so I made him this guitar cake. The cake was really good again this year, too! I wish I would have stashed some to take home! LOL!